Nintendo recently showed off a demo of some of the already released and upcoming Nintendo 3DS titles. 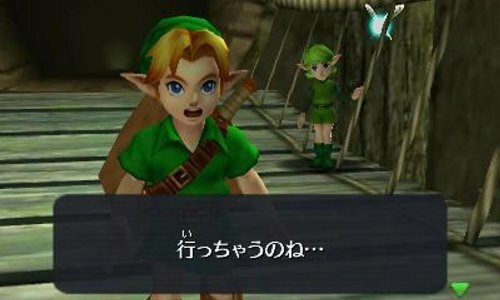 The above video goes in order of their Japanese release date, so if you skip ahead to the 2:50 mark, you’ll find the footage of Ocarina of Time 3D. We see some footage of opening cinema that we posted a few days back, along with adult Link fighting some stalfos in the Forest Temple, boss battles with Phantom Ganon and King Dodongo, and scenes with Princess Zelda and Sheik. 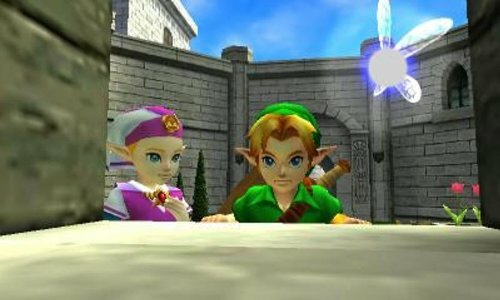 It is very similar to what we’ve seen already with Ocarina of Time 3D; same familiar scenes from the original Ocarina of Time, with updated graphics for the 3DS. We also have some new still shots available and you can see them after the jump. 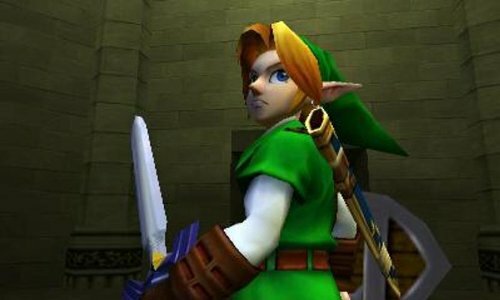 There isn’t anything overly new, but this slow release of new screenshots over a period of time seems eerily familiar to the hype in 1997 and 1998 for the original Ocarina of Time. Granted, I don’t quite think hype level is anywhere near what it was back then, but each time I see new screenshots or footage, I’m getting more excited about getting my hands on the game. We’ll surely be getting more screenshots and footage in the buildup to E3 of this year. 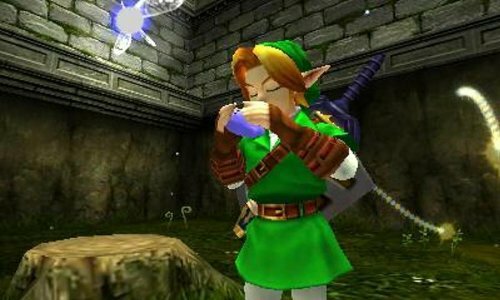 Remember, here at Zelda Dungeon we will be updating our Ocarina of Time 3D Walkthrough at release to include any and all changes made for the 3D version of the game. What do you think about the newly revealed screenshots and the new footage? 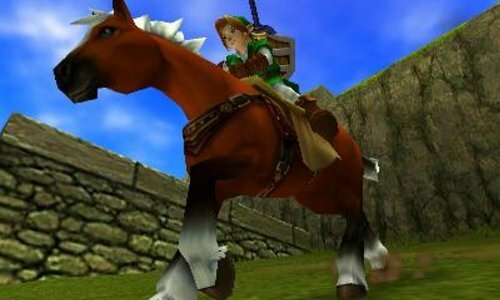 Are you hyped for Ocarina of Time 3D? Are you going to get it at launch? Let us know by posting in the comments below.